A numeric comparison was attempted on "$(TargetPlatformVersion)" that evaluates to "" instead of a number, in condition "'$(TargetPlatformVersion)' > '8.0'". Where the number at the end changes every so often. How to fix this? Annoyingly simple. 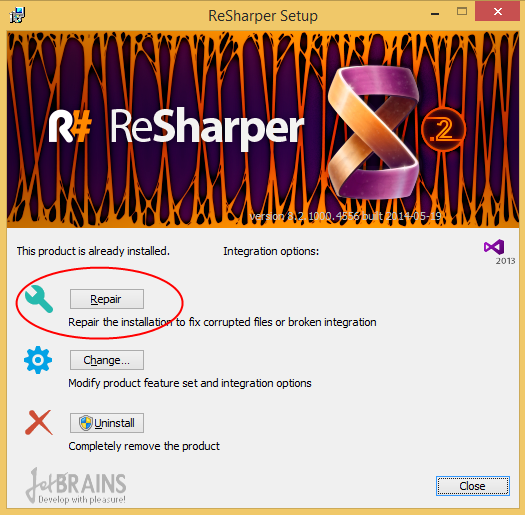 Repair Resharper and restart Visual Studio. Hope that saves you a few hours..! Thank you so much. You saved lots of my hours. OMG, you save my life! When I got this error I just restarted Visual Studio and the error went away. Please note, when I did restart the project did initially load, but I just right clicked and hit reload target and it did. This worked for me no need for a reinstall.